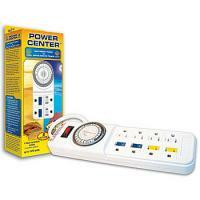 The Aqualight Digital Power Center is a 24-hour day-night alternating timer device that is ideal for all lighting systems. The Aqualight Power Center is a day-night dual timer device that provides complete 24-hour lighting cycles from dawn, noon, dusk and nighttime. 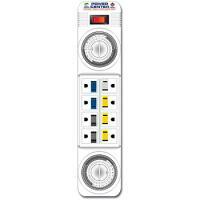 8-Outlet Timer/Power Strip. 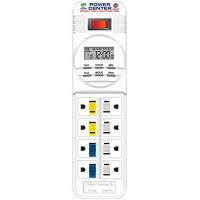 Features 4 timer-controlled outlets and 4 constant-power outlets. Great for switching water pumps to create tidal-flow currents.